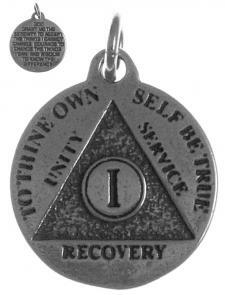 While the journey to recovery can begin in an instance, we know that it lasts for a lifetime. 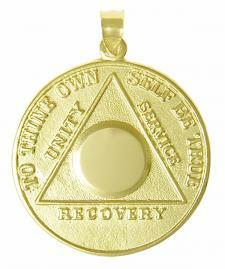 When taking such a journey through the 12 step recovery program and then moving forward with life, carrying a recovery coin or recovery medallion can often give one great strength. 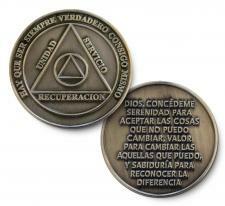 That is what the AA medallions (coin) was originally given for. 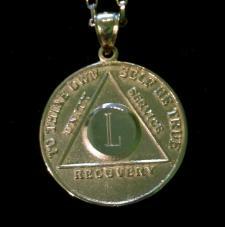 Sister Ignatia gave out the first "AA medallions" when men were leaving their five day dry out and instructed them that the acceptance of such a medallion signified commitment to God, AA, and to recovery. 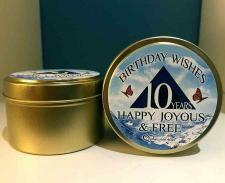 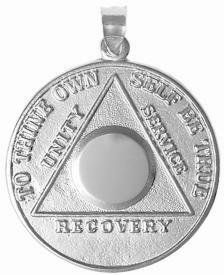 Since then the traditions of AA chips, AA coins, AA medallions, and recovery medallions has varied from that of the onset of the journey, to celebrating ones recovery birthday, as well as remembering that you have Angels helping and watching you. 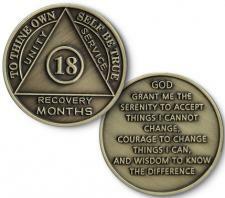 Today, the significance of the AA medallions and recovery coins still stands strong and we encourage you to use that significance to strengthen your commitment and connection to the 12 step recovery process.